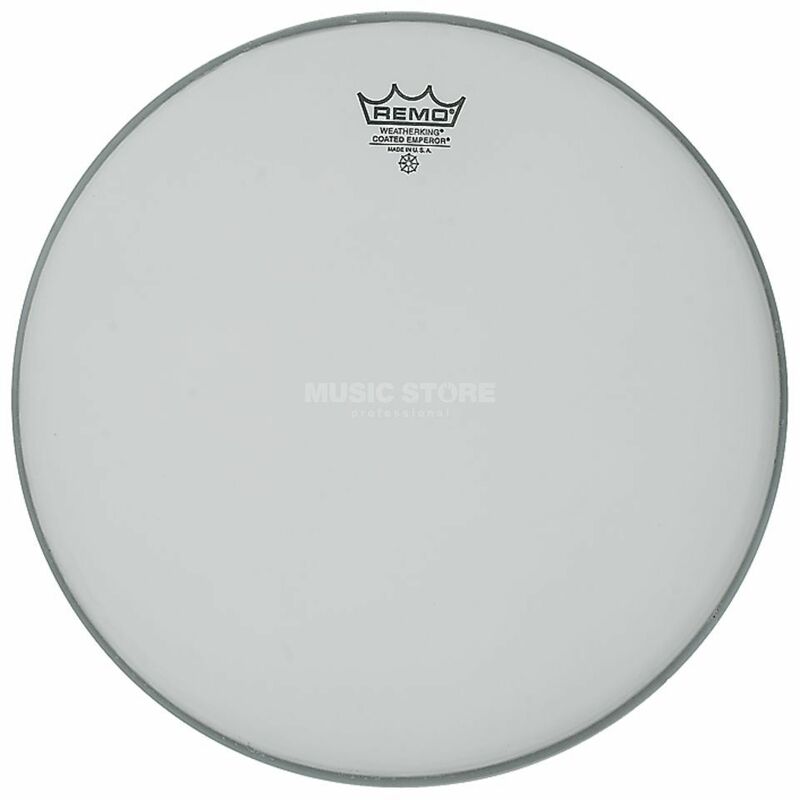 The Remo Batter Emperor, Coated, 13 inch Diameter Snare/Tom Head. The Remo Batter Coated Emperor heads are warmer and more durable than Clear Emperors. They’re made with two free-floating plies of 7-mil Mylar film, which gives consistent open warm tones which accounts for their popularity among many of today’s Studio, Pop, R&B and Rock drummers. BE-0113-00 Batter, Emperor, Coated, 13 inch Diameter.